Home Blog Building Advice What is a smart home? What is a Smart Wiring? You have probably come across the term before, but what does Smart Wiring actually mean and why is it beneficial to you? If you are looking to build or are currently building, listen up! Basically a smart wired home has a comprehensive wiring installation with cabling for speakers, phones, faxes, TV, projectors and security to be installed using an integrated approach on the same platform. The wires are best (and cheapest) to install during the construction of your new home. Remember to ask your builder about Smart Wiring and ensure you speak with a Smart Wiring qualified specialist. What are the benefits of a Smart Wired home? Apart from adding to the overall resale of your home, Smart Wiring will enable flexibility when it comes to room functionality. Kids left home? Why not turn the bedroom into an office? It will also reduce the need for lots of messy unattractive cords! My home is Smart Wired, now what? Once your home has Smart Wiring installed you have the world at your fingertips, literally! Technology has come a long way and with the development of app, smart phones and tablets, you can control and sync almost every function of your home including lighting, speakers and home theatre systems. 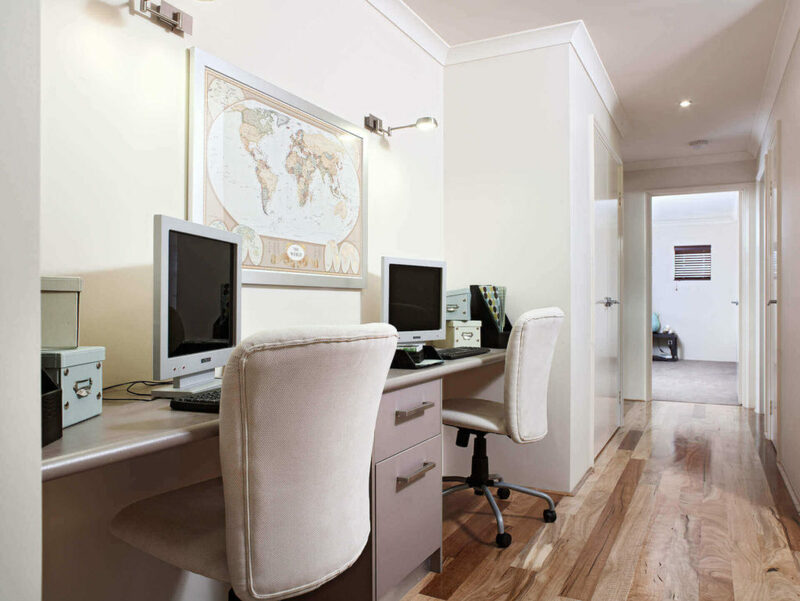 Touch screen controls can be installed in each room and even linked to your mobile phone. Consider installing internet appliances in the kitchen. Get rid of the old tattered cook books and install all of your favourite home recipes on an accessible touch screen tablet even the kids would have fun using. Who know, maybe you’ll get a meal cooked for you! Following the kitchen, the master bedroom is a good place to install access to your overall home controls. Control your home temperature, security, lighting and other electronic features all from one central bedside hub! Generally the entertainment area or family room, this is a great place to focus on lighting and electronic features such as your TV screen. Dim the lights for movie night at the touch of a button!